Most people do not consider that those with diabetics might suffer from constipation. They mostly think that they will only suffer from problems that might affect their eyesight or loss of limbs. What they do not realize is that 75% of patients who visit diabetes clinics do report GI symptoms that are significant to them. The patient’s entire GI tract can be affected by their diabetes all the way from their mouth and esophagus to the large colon and anorectal region. The symptoms that can develop from this vast area can cause many experiences and vary widely. There are many common complaints, and some include constipation, nausea, vomiting, and abdominal pain. 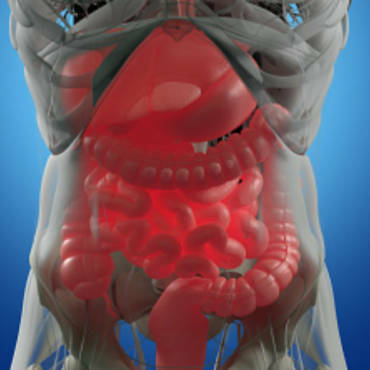 There will be many of the patients that go undiagnosed and not treated because the gastrointestinal tract has not usually been connected with diabetes in the past nor connected with its complications. You will find that both acute and chronic diabetes can lead to certain GI complications. Diabetes is a systemic disease which can affect several organ systems, and your GI tract is not an exception. As with all the other complications of diabetes, the length of the disorder and having poor diabetic control are associated with the more severe GI problems. 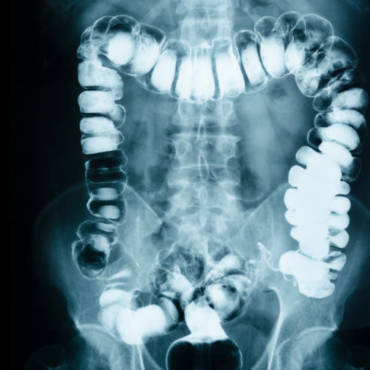 Patients who have a history of nephropathy, retinopathy, or neuropathy should automatically be presumed to have some GI abnormality until it can be proven differently, and it can readily be determined by asking a few questions of the patient. You will notice that many of the GI complications caused by diabetes are usually related to the dysfunction of those neurons that supply the enteric nervous system. It is no different than the nerves in your feet being affected by peripheral neuropathy, when the intestinal nerves are involved it can lead to enteric neuropathy. It is a kind of autonomic or an “involuntary” type neuropathy and can result in all sorts of abnormalities in your intestinal sensation, motility, secretion, and absorption. The different nerve fibers will either inhibit or stimulate your intestinal function or motility, and any damage to these particular nerves will lead to a slowing down or even an acceleration of your intestinal function and cause a variable symptom complex. We already know that intestinal neuropathy can affect the nerves in your colon and will lead to a decrease in colonic motility and then constipation. The constipation of diabetics is depicted by a decrease in stool frequency, hard or lumpy stools, straining when you are defecating, feeling the sensation of incomplete evacuation, or needing to perform manual maneuvers to defecate. About two-thirds of patients who have diabetes report they have constipation. One cause of constipation in diabetics is the neuropathy that leads to lowered colon motility and an impaired gastrocolic reflex. Patients who suffer from diabetic constipation tell you they have a plethora of bowel disturbances that include few passages of hard stools only if they strain hard. Other symptoms these patients will tell you they suffer from are distention, bloating, pain in their abdomen, fullness, and discomfort. A physical exam may not reveal anything. In the severe cases, a digital rectal exam will probably reveal firm, hard stool being held in the rectal vault. The use of fiber supplements, bran or psyllium products, a high-fiber diet, increasing water content for your bowel movements will be what your physician suggests you do to relieve your symptoms. There is something better for you to use and that is Colon Cleanse and Super Colon Cleanse that works great in helping you to cleanse yourself and stay on a regular bowel movement pattern. Both of them will work for you without cramping or any abdominal pain. They are composed of natural products that are harmless to use and work quickly for you.